the install package from the download site on SourceForge.net. 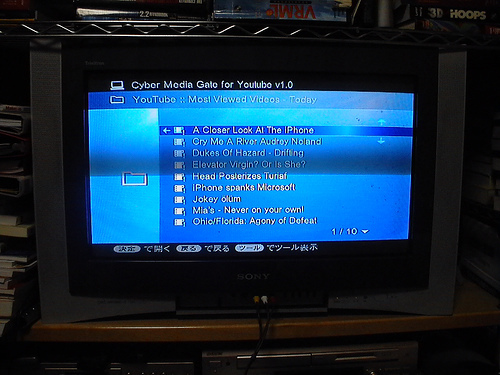 Using the media server, you can select the RSS feeds of YouTube such as Most Viewed Videos Today, see the video contents using standard UPnP/AV media players such as DLNA media players. 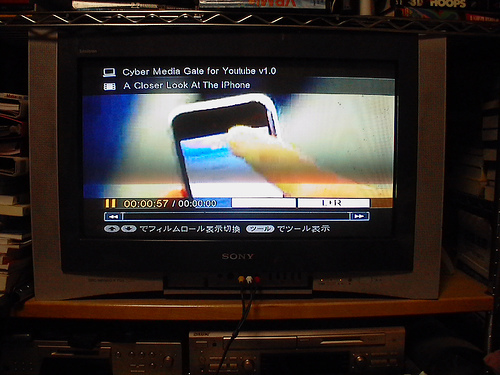 The media server transcodes the video files from FLV format into MPEG1 format using FFMPEG.